The newly upgraded, multi-million pound Imaging Facility at the College of Life Sciences is to be relaunched this Friday as an inter-collegiate, state-of-the-art research hub for a variety of disciplines across the university. 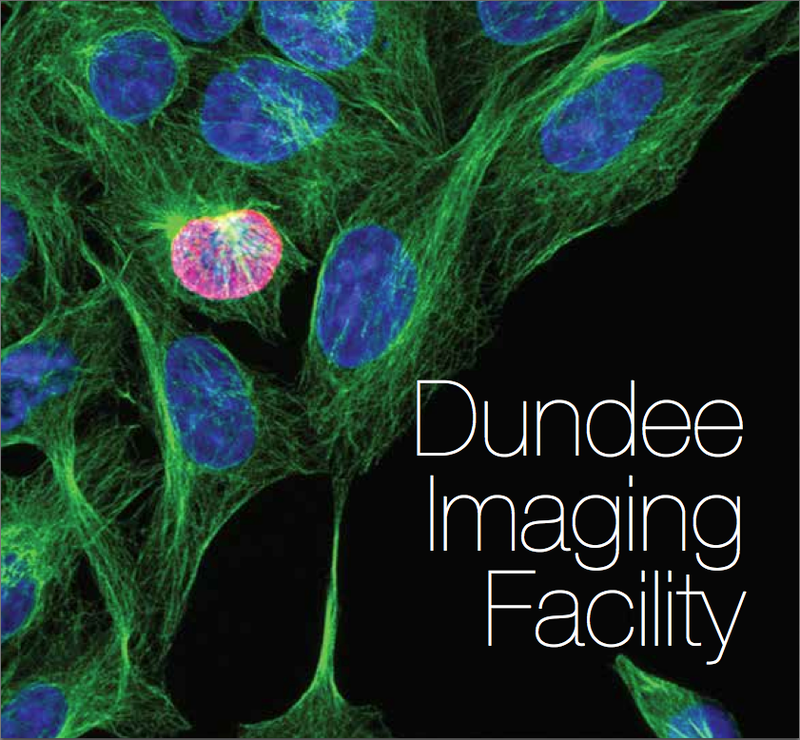 The Dundee Imaging Facility is an interdisciplinary, university wide, advanced technology resource driving the University’s objectives to develop transformational research areas in physical, life and medical sciences. In the past two years over £8 million in external funding and strategic partnerships with some of the biggest names in commercial engineering have enabled imaging facilities across the University to expand and develop. DIF not only provides support for individual research projects from a broad range of disciplines (from materials research through to tissue and small organism imaging), it creates workflows between technologies and has an active role in facilitating and supporting projects across disciplines. The facility has a central hub in the College of Life Sciences, incorporating advanced light microscopy, super resolution microscopy, the PaLS lab, image analysis and sample preparation. An additional light microscopy facility is located at the Ninewells campus, College of Medicine Dentistry and Nursing and an Analytical Electron Microscopy facility is housed in the School of Engineering, Physics and Maths in the College of Arts, Science and Engineering. All of this technology is now accessible by all staff in the University of Dundee. The facility is supported by a dedicated team of hugely experienced and capable of staff, with backgrounds in Physics, Chemistry and Biology and with practical experience interacting at the interface of the life and physical sciences. The facility will be opened by University Principal Professor Pete Downes on 23rd January 2015 at the College of Life Sciences, followed by an interdisciplinary research symposium with representatives from across the College and international speakers on imaging technologies and applications.